BCA Chugach Pro EXT Shovel: BCA's biggest and baddest digging machine. 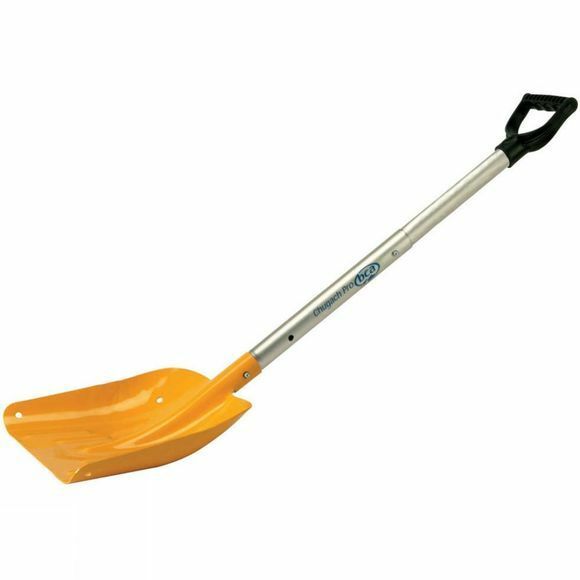 The BCA Chugach Pro EXT Shovel moves a lot of snow quickly and is popular for search and rescue as well as building kickers. The excavation process is a true crux of every avalanche rescue. Time lost or gained can directly determine life versus death. At BCA, they have developed both the technology and the training necessary to get the job done better. Based on a foundation of bombproof aluminum and a rigid oval shaft, they have created the most efficient human powered digging device known to man.